Special Containment Procedures: Information Rehabilitation Program Phi-Theta-Rho is ongoing to support mainstream research in paleontology. Multiple theories on the causes of the Permian-Triassic Extinction Event are encouraged as long as they fall within the scope of modern scientific knowledge. Research in several fields are monitored regularly, including paleontology, geology and astronomy. Any publication of information regarding the true nature of SCP-3252 are to be promptly suppressed or discredited and their authors investigated for further action. Following the discovery of new information as detailed in Addendum 3252-20██-01, Information Rehabilitation Program Phi-Theta-Rho has been expanded in scope to cover all similar anomalies, pending further research. As far as the Foundation can determine, this period of time did not exist. Radiometric dating and other chronological dating methods have been unable to establish the existence of any fossils, geological formation or any other physical evidence dating from this period. Astronomical observation has been unable to observe any extraterrestrial bodies that are currently 251,880,000 to 251,941,000 light years away from Earth. Investigation involving the use of SCP-[DATA EXPUNGED] to investigate the time period in question have failed for unknown reasons. Examination of geographical formations and fossils from the late-Permian and early-Triassic periods indicate no anomalies. Aside from the mass extinction of species, there is little evidence that the discontinuity in time had any effect on the physical plane; in fact, it cannot be conclusively proven that the Permian-Triassic Extinction Event occurred as a result of the discontinuity, rather than simply coinciding with it. Look, prof, I know I'm going to sound like a teenage kid who's read a little too much science fiction, but I just can't help thinking…how do we know that anything ever existed before this "time gap"? 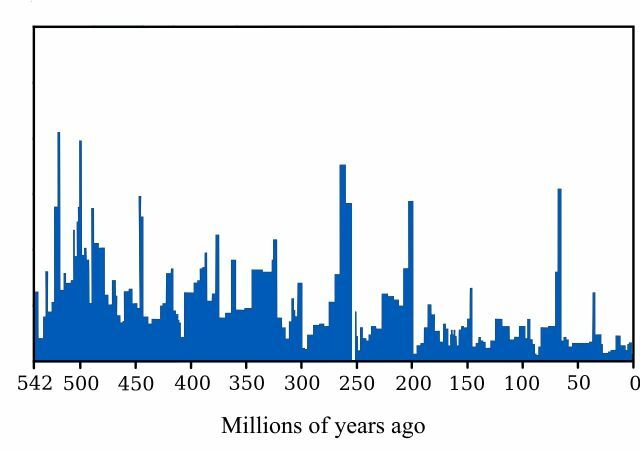 As far as we can tell, nothing existed during this period, not even time - everything just popped into existence on a certain day, 251,880,000 years ago. How do we know that those fossils that we dated back to the Devonian really have been in existence for 400 million years, rather than popping into existence 252 millions years ago "150 million years old"? Perhaps even the concept of time itself as well - "Let there be time", so to speak? I'm not sure what I'm writing even makes sense to myself, but I guess you get my drift. I used to believe that I would be atheist for life, now I'm not sure. Not a problem. You aren't the first researcher to say this, and you probably won't be the last. Hold on to that feeling - it's not the worst thing to go back to, once you've been on board for a few decades and seen enough things to turn your world inside out a dozen times and back again. The best advice I can give you is this: You're never going to find out whether it's true or not, so you might as well go for the explanation that makes you sleep better at night. Occam's Razor exists as much to keep your sanity as anything else. Maybe we end up chasing down the wrong rabbit hole forever, but that's far preferable to driving yourself nuts over something that we probably can't ever prove or disprove. At the end of the day, it's an academic question, and academic questions take the back-burner. It can be hard to swallow when the ink's not quite dry on your PhD, but the work we do here is ultimately for a practical purpose, and we have to think in practical terms. Addendum 3252-20██-01: On 25 July 20██, regular temporal integrity examination as part of the SCP-3252 project revealed a temporal anomaly that displayed similar characteristics to SCP-3252. Further examination of temporal continuity using [REDACTED] exhibited identical results to examinations performed on SCP-3252. Approximately 0.17 seconds between 15:43:42 and 15:43:43 UTC on January 18, 2000 were found to have not existed. The non-existence of this time period is correlated by examination of Foundation computer records, astronomical observations, and [DATA EXPUNGED]. Following this discovery, the SCP-3252 project has been assigned to identify other similar anomalies. To date, ██ have been discovered. Research is ongoing to determine the relationship between these anomalies and SCP-3252. 2. Carl T. Bergstrom; Lee Alan Dugatkin (2012). Evolution. Norton. p. 515. ISBN 978-0-393-92592-0. 3. Sahney S; Benton M.J (2008). "Recovery from the most profound mass extinction of all time". Proceedings of the Royal Society B. 275 (1636): 759–765. PMC 2596898 Freely accessible. PMID 18198148. doi:10.1098/rspb.2007.1370.